We are super excited to announce returning event sponsor I Need Diverse Games! With their help, we’ll be offering a diversity scholarship for our 2-Day badges. We’re excited to sponsor diverse individuals in the community and to bring their voices to the conference. Haven’t grabbed your ticket yet? Go ahead and grab your ticket at our EventBrite here. If you want to apply for one of the diversity scholarships, just email us at vector@runjumpdev.org, or contact us through the contact form at the bottom of the page. Coming from a Distance? Why Not Stay at a Holiday Inn Express? Hey folks! Coming from a distance to our games conference? 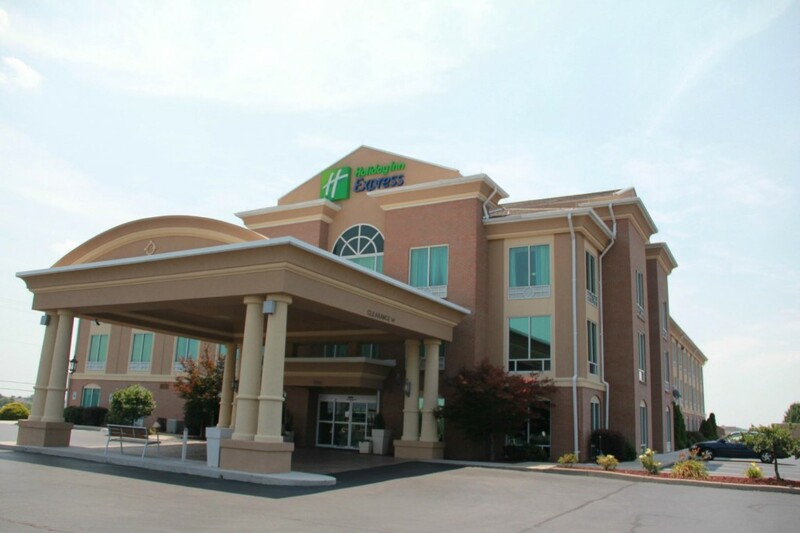 Why not stay at the Holiday Inn Express in Richmond, KY? We have blocked off a group of rooms at the Holiday Inn Express at a lower, group rate. This means you can stay for a little bit less, and other traveling game developers are bound to be staying there as well. All you have to do to get this lower group rate is to call the hotel directly at 859-624-4055 and mention that you are with “Vector Video Game Design Conference” when you set up your reservations. Haven’t purchased your ticket yet? There’s still time (til March 1) to get that Early Bird discount. Check out our Eventbrite for more information. We’re pleased to announce our next keynote speaker, Aleissia Laidacker! Aleissia is a game programmer-designer-director who has been working as a programmer for 16 years and developing games at Ubisoft for 10 of them. She was Lead AI on multiple Assassin’s Creed games. Her passion for design has pushed her teams to think about why we are developing our games rather than just how we develop them. 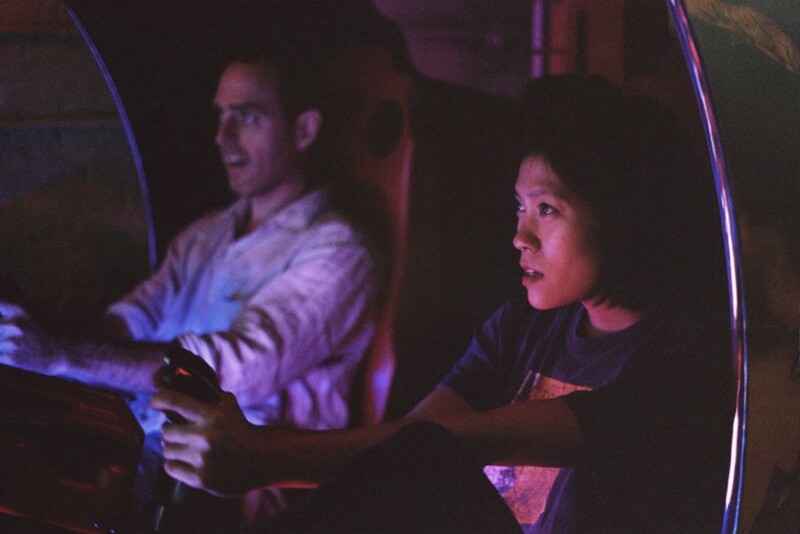 She empowers her teams to think outside of the box through game jams and experimentation. As part of the Diversity Committee at Ubisoft, she mentors kids and gives talks at schools to inspire young girls to pursue careers in tech and games. We’re super pleased that Aleissia will be joining us this year! You can still buy tickets for Vector ’17 at discounted, early bird pricing. You can find out all the ticket prices at our Eventbrite. 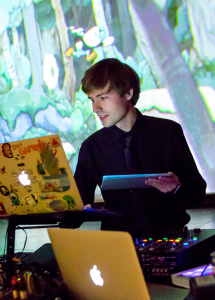 We are very pleased to announce speaker and performer Daniel “C418” Rosenfeld. 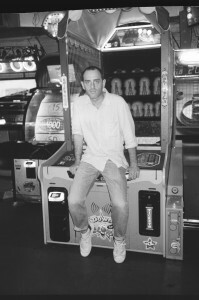 Daniel Rosenfeld is a composer, game designer and consultant. In 2008 he teamed up with Markus “Notch” Persson to become the sound designer and composer for Minecraft. He’s currently working hard releasing the third and biggest Minecraft soundtrack, while also developing his own games with a heavy focus on sound design. He’s also a big dumb nerd. In addition to leading a talk at Vector 2017, Daniel will be performing at a concert on Friday April 21 at Eastern Kentucky University. Tickets to the concert are going to be considered a part of admission when you purchase tickets for the event as a whole. You can purchase Early Bird tickets for the event through March 1 on Eventbrite. We are super excited to announce our round table and talk submissions portal for Vector 2017. We use roundtables both as traditional round table discussions as well as openings for people to talk about information. Vector is a game conference held at Eastern Kentucky University on April 21-22, 2017 in collaboration with the EKU Gaming Institute, the Richmond office of the Kentucky Innovation Network, RunJumpDev, and TechBase 10. Vector is a celebration of local developers, a well as a chance to network with leaders and peers in the field of game design and development. Vector features networking, talks from industry leaders, workshops and round table discussions. For this upcoming event we are issuing a call for round table discussions. These will be informal discussions where the person submitting the talk would lead a discussion about the submitted topic. Topics can be diverse; specific or highly general. We will look over the submitted talks and make a decision in the coming year depending on submissions and interest. We are super excited to have Mark Mandel back for Vector 2017. 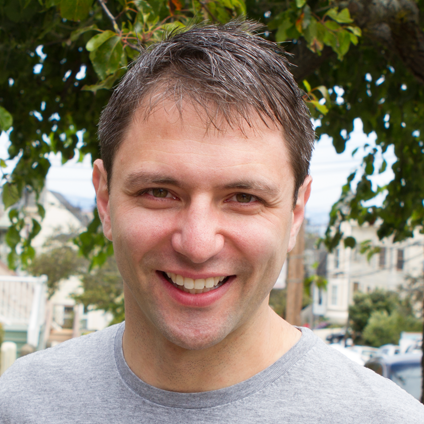 Mark Mandel is a Developer Advocate for Google Cloud Platform and one half of the Google Cloud Platform Podcast. Hailing from Australia, Mark built his career developing backend systems for over 15 years and authoring and contributing to several widely adopted open source projects. 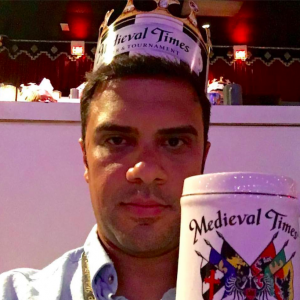 When he’s not building infrastructure in the cloud for games, he’s constantly looking for new and interesting things he can do with Docker containers, playing with his dog and reading too much fantasy literature. This year, Mark will be leading a talk on Scaling Multiplayer Games with Open Source. “Awesome! You’ve built the next Overwatch! You have your game client and your dedicated game server ready to power game sessions as your players duke it out in your new amazing PvP tournament or MOBA death match. We are incredibly excited to have Mark again this year! You can still purchase your Early Bird tickets on Eventbrite now. 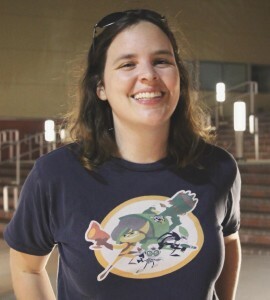 Lisa Brown is an independent developer, formerly a game designer at Insomniac Games and a graduate of Carnegie Mellon University’s Entertainment Technology Center. 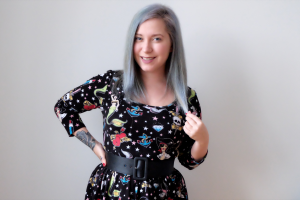 Since going indie, she has released several experimental personal games (Imaginal, Lisa vs. the Tornado) and livestreams game development and game design analysis to help others get better at making games. 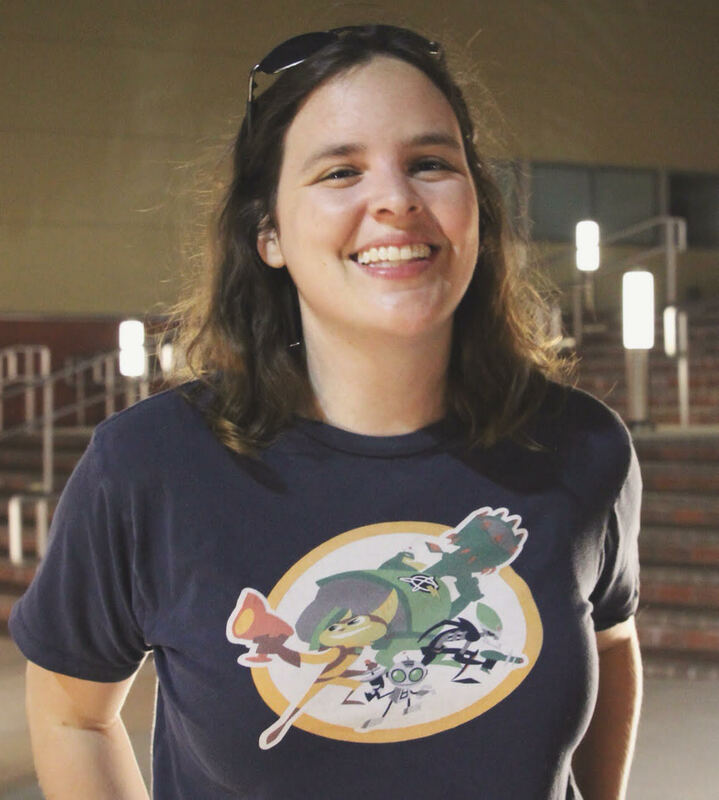 Lisa loves advising students, participating in game jams, and exploring alternative control schemes for games. We’re super excited that Lisa is joining us for the second year! She was a fantastic speaker last year and we’re very excited that she will be joining us again. You can pick up tickets at Early Bird pricing now!